Probably the best place to park you vehicle if you are going to visit the Old City Dubrovnik and avoid the dense traffic around the city. 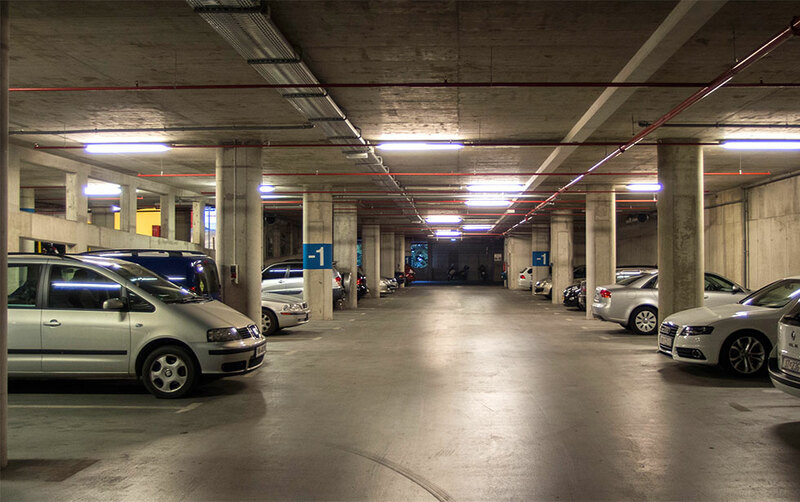 Everyone will strongly recommend you to park your car in a public garage on Ilijina Glavica, on the one-way Zagrebačka street leading to the Old city Dubrovnik. Most of the time the garage is usually at least half-empty (and it has 711 parking spaces) so you will find a spot at any time. Parking in a public garage in Dubrovnik is the cheapest option, compared to other parking spots on the street next to the Old Town Dubrovnik. For a long time, parking in the public garage was considered pricey, but since drastic price change of street parking in 2014., public garage is considered a more moderate option. Public garage parking fees, prices valid for 2018. * For a daily, weekly or monthly parking rate you should inform the car park operator at level 0 within 15 minutes of entering the car park, so you can get a special rate. Otherwise hourly charge will apply. More information about parking in Dubrovnik. Another way of getting aroud Dubrovnik is by public bus transportation. For more information visit Dubrovnik public bus connections. If you plan to rent a car check out the best rate on rental cars in Croatia - get your quote now!